Incuspaze as a team work towards the start-ups for the entrepreneurs by providing all basic necessities and making the loud success which can be measured in terms of growth, turnovers, expansions etc. that an entrepreneur will achieve in the long run. Incuspaze brings to you a panel of mentors to help your business fly high with the wings of wisdom provided by experts. No more do you have to fuss about a new idea for which you lack the knowledge for execution. Q. What is Mentor Connect? 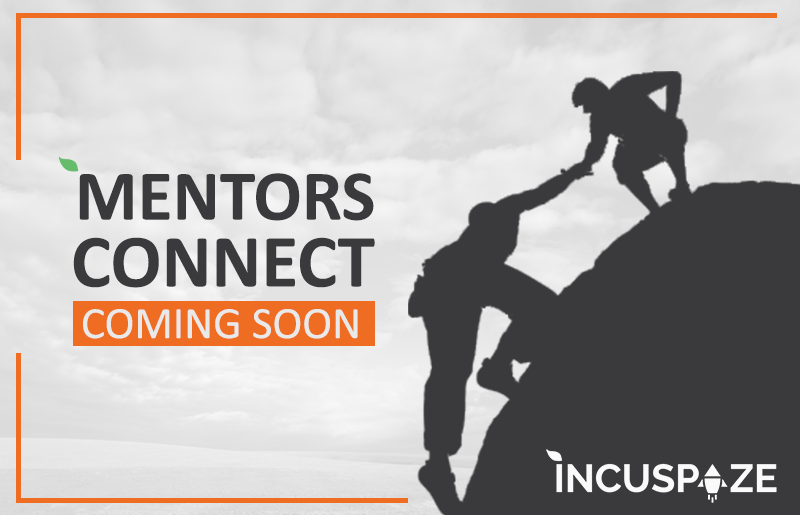 A new feature of Incuspaze, connecting you to industry professionals from all fields is what Mentor Connect is all about. As part of our offerings, Mentor Connect is a key factor that helps kick start your venture through global networking. Q. What do we provide you with? At Incuspaze, we are striving to take the concept of networking to a whole new level. Whatever be your question, doubt; whatever be the field, we connect you to the best person who can guide you. Professionals from all over the world, scholars from every field under one roof, one name – Incuspaze. Q. How does it benefit you and your company? Networking, being the key factor of taking any business further, is what we help you acquire.Got a terrific idea? Got to connect to mentor? Make the mentors like it, build networks, get in touch with the world’s leading industrialists that can fetch you investment, resources, guidance and much more at a drop of a hat. Q. What are the objectives of Mentor Connect? To help you exchange ideas with mentors, fellow members and researchers co-working with you at Incuspaze. Learn via research with the help of your mentors. Invent, Experiment, Test and Market your product. Provide you with a co-working space in Gurgaon, Indore, Lucknow and many more. Q. Who is on our panel? Let us keep that a mystery. Out soon!